3. 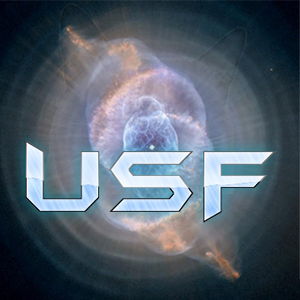 How did you find out about [USF]: I have been playing for some time on plazma burst and some user had suggested that i join, At first i was wary of what military clans are like and i guess i wanted to try it out. 4. Were you recruited by someone, If so, state their username: I was recruited by multiple people. 5. Why do you wish to join [USF]: I want to join [USF] because it's a great clan, I also want to join because the clan doesn't only focus on one game it diverse and you can meet new people, I also didn't wanna join unstable clans which will fall in a few days and everybody runs unlike that [USF] is very mature and well taken care of. 6. How experienced are you in Plazma Burst 2? Explain why you feel this way or how this can be proved:I'm horrible at ranked, i lag alot. 13. (This answer should be at least 3 sentences.) Give THREE reasons why we should accept you:Well i'm a chill person so i'm easy to make friends with others and i cooperate very well with new people who i don't know.I can also help set up live events for the members to have fun and relax from the drama or anything that is happening. I can also get new members happy and suited in to join. 14. What will you do to benefit the clan: Tbh I can do a lot of things that peoples ask me for.. I can be shield for those I like. I can be helpful for those in needed. Tbh I learn fast so even if I can't do something now I can easily learn it. I can also help on events. 15. What are your Skills/Playing Styles: I'm good at saws but i am really laggy sometimes so. 17. Explain why you had left these clans if you were in any: Well i had left because my friends left there was no point in being in a group. 19. Are you in our Discord server? Also, how often will you be online (daily) in our server and in-game: I'm usually active on Discord and the forums everyday. Sometimes i will be busy in september and so on when school is starting, but I'll do what I can to be active in Discord for at least 6 hours a day. 20. How long have you played Plazma Burst 2: About 2 years. 21. Do you have any alternative accounts on Plazma Burst 2? If so, list them and the link(s) to the profile(s):I believe i had an account called jusman55 can't seem to find the pass. 22. Out of the following, which faction would you like to be apart of? The United Special Forces Army, Navy or Airforce: I would like to be part of the Air Force. 23. Have you been in [USF] before? If so, why did you leave: No i have never been in [USF]. This application is of a good quality.